Access hatches provide openings to access equipment in underground structures or below/between floors in a building. 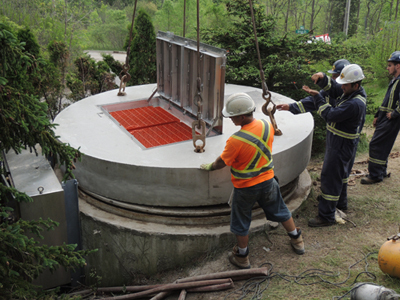 MSU access hatches are designed for permanent installation in maintenance holes, reservoirs, pumping stations, water and wastewater plants, storm water management facilities, underground chambers and vaults. Access hatches allow personnel access to underground infrastructure and equipment as well as providing above-ground openings for inspection. 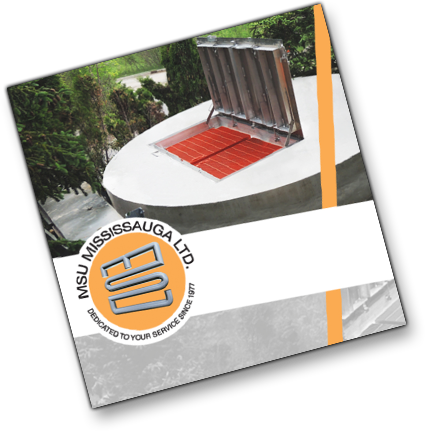 MSU’s access hatch models include drainable and non-drainable, bolt down, gas-tight, and special application. Sizes ranging from 300 mm square to 3.6 M and beyond. Sizes shown are just examples; contact us directly and inquire about the size you require.